Your gift impacts the patients and families of Ann & Robert H. Lurie Children’s Hospital of Chicago in a variety of ways! Every dollar raised will help nearly patients cared for each year at Lurie Children’s. On behalf of our children and their families, thank you! 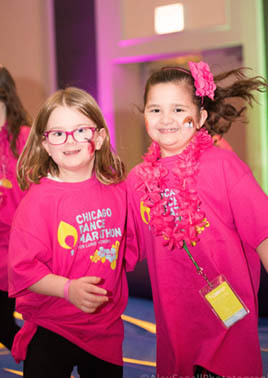 You are making a direct gift to CHICAGO Dance Marathon 2019. Your gift can help provide supplies for the Lurie Children’s classroom so that children in the hospital can continue their education. Your gift can help provide small lab supplies for one of the hospital’s clinical trials to ensure our children have access to the latest medical therapies. Your gift can help provide inpatient entertainment and distractions to help patients reduce stress and have fun while undergoing treatment. Your gift can help provide books, toys and transportation costs for patients in the hospital. Your gift can help provide a comfort item for a premature infant to ensure the smallest and most fragile babies heal and grow faster.